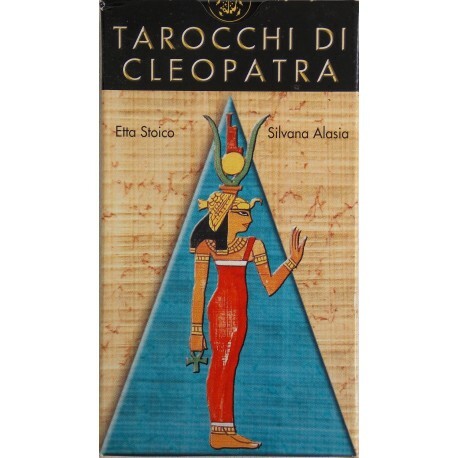 Cleopatra Tarot- italian edition - Tarot Bulgaria ltd. This deck is dedicated to the last Egyptian queen, Cleopatra, famous for her exceptional learning as well as her harmonious voice. This Tarot reproduces the Egyptian divinities and the astral spirits of the Zodiac of Denderah. The Egyptians attributed the power to alter human destiny to these figures, uniting the magic of the stars with the symbolism of the Tarot. This deck contains 78 cards and instruction booklet.